Since the first telephone was first created in 1876, phone calls have become part and parcel of everyday life and despite advancements with image and video technology, they are here to stay. Thinking back to when the telephone first came about, it was in the houses of only the most wealthy, but at first would not have seen that much use, as not many others had their own telephone from which to make a call. Phone calls were precious and being few and far between, they were used to call for doctors, speak to relatives from across the globe or to discuss pertinent matters. Fast forwarding a few centuries and you now have people calling each other for trivial chit-chat and catch ups. No matter the advancements in technology, people will always want to hear another person’s voice on the end of the line. Whether it is for a job interview, to speak to a loved one working or living far away or to get to the bottom of a customer service issue, as humans, we crave that interaction and engagement that only a voice call can give us. In saying that, many users have distanced themselves from traditional voice calls through their network provider, opting instead to use an app availing of their data package or wireless network. This is the perfect solution, until the call drops, the lines becomes less clear or there is a lag in the call. Companies like Horizon Globex with their Voice Over IP software recognise the importance of the phone call and they are constantly working on ways to deliver better, clearer and more economical calls to their customers over a wireless network. 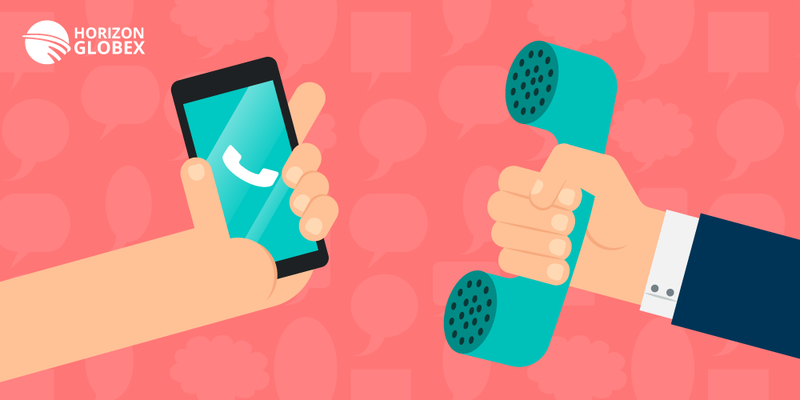 According to the results from a University of Limerick paper (reference – https://ulir.ul.ie/handle/10344/5498), Horizon can deliver Voice Over IP calls using up to 8.88 times less bandwidth than Skype for instance, while it also came in far more efficient than the likes of other competitors such as WhatsApp, Viber and Facebook. Using less bandwidth means that Horizon Globex are a completely viable option for those on 2G and 3G networks and according to GSMA, up to six billion people will remain on these networks up until 2020.